The property is really nice. It is updated and clean. The restaurant and bar were closed for dinner on a Saturday night which was not great. We traveled all day and were looking forward to relaxing at the hotel. The staff were efficient. Where to find San Felipe hotels near an airport? 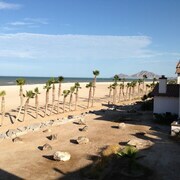 Where can I find hotels in San Felipe that are near tourist attractions? 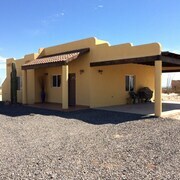 Hoping to find a room in Baja California Norte, particularly in or near San Felipe? Within 0.1 kilometres (0.06 miles) of central San Felipe there are 3 Expedia-recommended hotel options you can choose from. 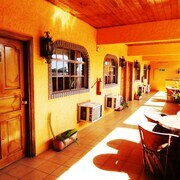 There are only a small number accommodation options within easy walking distance from the center of San Felipe. The Las Palmas Hotel is an ideal option as it's just 3 kilometres (2 miles) away. A couple of Expedia-listed accommodations that are worth considering include the La Hacienda de la Langosta Roja and Las Palmas Hotel. The La Hacienda de la Langosta Roja is located 3 kilometres (2 miles) from the center of San Felipe. The Las Palmas Hotel is situated 3 kilometres (2 miles) away. 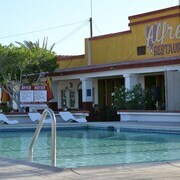 The HOTEL SAN FELIPE MARINA RESORT is another accommodation option. It is located 4 kilometres (3 miles) from the center of San Felipe. If you are flying into or out of Puerto Penasco International Airport and would like to stay nearby try Peñasco del Sol or Playa Bonita Resort. What are the most popular San Felipe hotels? Are there hotels in other cities near San Felipe? 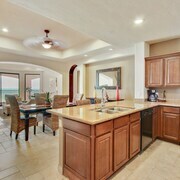 What other types of accommodations are available in San Felipe? Explore San Felipe with Expedia.ca’s Travel Guides to find the best flights, cars, holiday packages and more!